FIRST-time home-buyers this year are finding more and more projects within their affordability as Malaysian developers have generally repositioned their offerings at more reasonable level of pricing. The Southern and Western corridors of Klang Valley, from Klang to Shah Alam, Seri Kembangan to Kajang and down south till Bangi and Semenyih are experiencing an unusual exciting and sparkling moment. All the local big players are there offering high-rise and landed housing at far below the RM700,000 tag which, according to Table 1, represents the higher limit of Kuala Lumpur/Selangor affordable values. 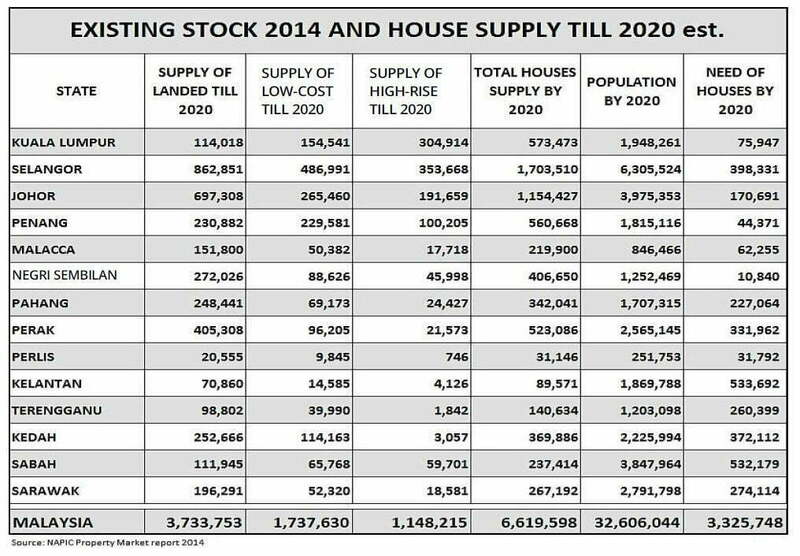 By looking at these numbers and considering the effort to increase the supply of affordable homes put in place by the developers, we should expect a good market outlook and positive outcomes for the industry. However, asking around the developers and various professionals, the finding is totally a different story. Almost everybody is complaining that it is becoming more and more difficult to purchase affordable homes. Pay attention to the words, now people are not saying: “it is impossible to find affordable homes” but, “it is difficult to purchase affordable homes”. We all know how challenging it has become to find proper financing nowadays. Banks are narrowing down the selection criteria, margin of financing (MOF) is often below 90%, Bank Negara has introduced more restrictive parameters for the calculation for the Debt Servicing Ratio (DSR) and the unexpected has actually happened: PTPTN (Perbadanan Tabung Pengajian Tinggi Nasional) has finally done what it has been for a long time threatening to do. 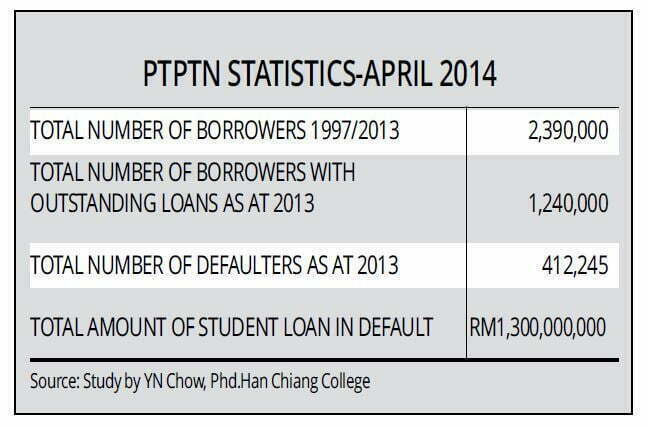 Since June 1, 2015, the Central Credit Reference Information System (CCRIS) form has been updated with two data related to the PTPTN loan that several hundred thousand Malaysians have obtained in their younger years to complete their higher education: outstanding amount and number of months in delayed payment. We can surely say that Malaysian banks are generally quite flexible, but one thing they stressed is payment punctuality. How a good paymaster a borrower is, often represents the positive decision-making factor to have loan approved even with higher DSR or MOF. It makes sense as punctuality in repayment is an indicator of reliability and trust. What is quite wrong is that very punctual paymasters, in their owing to banks, have been revealed as untrustworthy borrowers when it comes to borrowing from the Government and banks have rapidly changed their valuation parameters and rejected loans percentage has hit the roof. The 2014 statistics released by PTPTN revealed the actual size of this issue, which needs to be immediately addressed by the authorities to avoid heavy negative repercussions over the next few years’ balance sheets of the country in terms of rise of the debt-to-GDP (Gross Domestic Product) ratio and, because of this, possible downgrading of the Malaysian credit ratings. Table 3 shows a CCRIS report that indicated the number of months with defaulted payment (red fields) and can easily explain how banks’ officers will look at it. 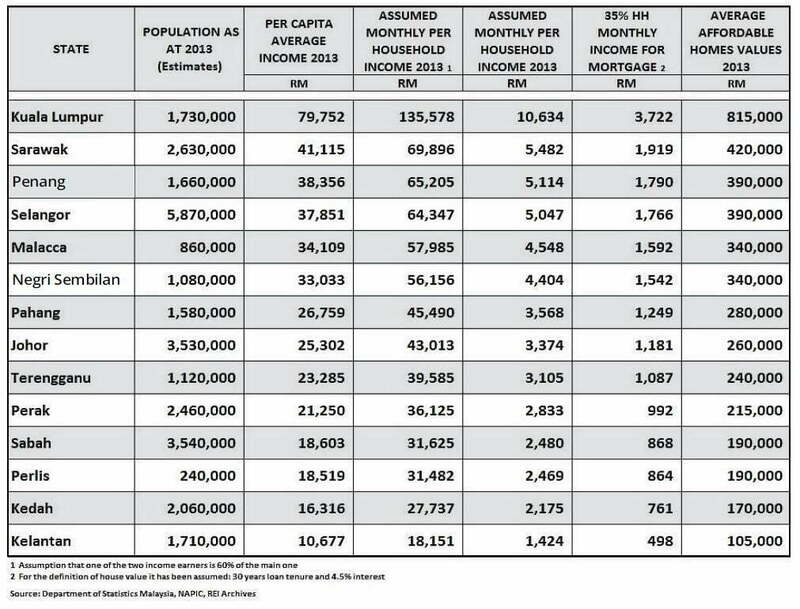 The statistics released by PTPTN in April last year, as shown in Table 4, are giving the actual size of the challenge that the authorities are facing. How all the above relates to the affordability issue is quite easy to understand. Developers may expect a reduction of more than 400,000 potential buyers who will be wiped out, as good and reliable borrowers, by the updated information in the CCRIS form. For them, available affordable homes will still remain a dream even though their income and DSR are saying that they can actually afford to buy. Someone said that there is not a problem that does not have a solution and I fully agree with this; in our case what we need is good and fair cooperation between the relevant parties. PTPTN has been more than reasonable in the past decades allowing minimum repayments and patiently waiting, possibly too much. It is now time for them to identify the defaulters and sit down with them and look for practical solutions. The easiest solution might be to cross-check with the Income Tax Department and define with a three-party agreement, employer-employee-PTPTN, a fixed deduction from the monthly salary: public and private entities can easily deduct a minimum and comfortable amount from monthly payslip and transfer it directly into PTPTN account. At the same time Bank Negara should advise banks on how to look at the concerning information on months of default in the PTPTN loan payment which has been uploaded in the CCRIS form. For home-buyers, a side agreement to the purchase of a home/property will allow the borrower to still be able to buy a home and at the same time starting the repayment of his/her PTPTN outstanding loan with full and fair satisfaction to all the parties involved. For the ones who right after their degree graduation have left the country looking for better opportunities overseas, a check with the Malaysian Immigration should result in a possible medium-to long-term recovery of a good part of their outstanding balance. I strongly hope no one will get hurt by these thoughts, which have been coming from basic common sense and fair considerations. If you are lucky enough to live in a country which grants you with a good study loan that will allow a substantial upgrade of your lifestyle and career possibility, it should be logical, once you have achieved your dream, to repay the favour and punctually “give back” what was anticipated of you. My fair and simple five cents worth of thoughts.